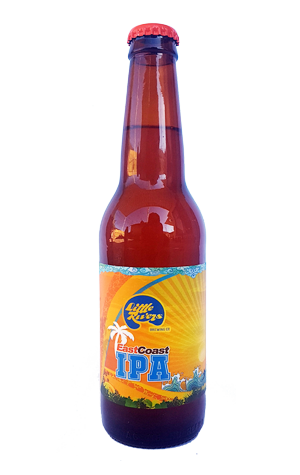 As with many of their brewing peers in Tasmania, Scottsdale's Little Rivers started out with a core range that was focused on more traditional beer styles, particularly those with roots in Europe. Over time, however, the brewers have shown they're not averse to contemporary trends either – particularly when it comes to seasonals. And that's certainly the case with this East Coast IPA, a beer that fits neatly into the growing clutch of locally brewed hazy IPAs and has been loaded with Galaxy, Centennial, Mosaic and Cascade hops. Pouring a hazy golden with a creamy head, punchy orange citrus flies from the beer almost immediately, followed by tropical fruit juice characters and a touch of pine. They're elements that blend together within the beer’s smooth mouthfeel before it finishes with a soft bitterness.